Top Hat Masonry Repair provides concrete and brick services for new and existing homes in the Waterford, MI area. 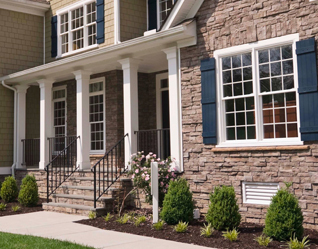 Family owned and operated since 2012, Top Hat Masonry Repair has been working with homeowners and contractors to provide property owners better masonry solutions for stone, brick and cement projects. Owner Chris Blaine built Top Hat Masonry Repair by first taking the time to understand what his clients' needs and wants are, and then delivering a stronger, more aesthetically pleasing product. By working with a smaller company, you get the benefit of working directly with the owner who brings several years of experience in design and structural engineering to your project. Whether you need a chimney repair, stamped concrete walkway, new patio or outdoor fireplace, Top Hat Masonry Repair provides the expert masonry services and attention to detail that will make your project last for years to come. As Southeast Michigan's leader in Masonry Services, We Can Handle Projects of All Sizes. Whether the chimney or porch on your home needs tuckpointing or the exterior walls, archways or entryways are crumbling, the expert brick masons at Top Hat Masonry Repair can handle it. The extreme fluctuations in Michigan's weather wreak havoc on brickwork. Brick structures, walls, patios, walkways, all need special attention to maintain their integrity and protect your premises from disaster. If you see areas in your brickwork where the bricks are crumbling, the mortar has fallen out, or sections have moved out of alignment, call us right away. We will come out for a free consultation and plan on how we will repair your brickwork to last for years to come. 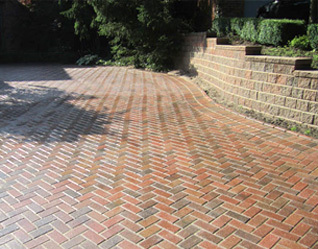 From Concrete Repairs to Quality Brick & Stone Services, We Do it All! When it comes to professional masonry restoration services in Michigan, you need an experienced contractor who understands the challenges of our climate. Top Hat Masonry Repair has been providing homeowners and contractors exceptional stone, brick, and concrete services since 2012. Our brickwork is beautifully crafted and stands the test of time. For a free consultation on your next project, give us a call! You’ll work directly with the owner, Chris Blaine.